U.S. Air Force Capt. 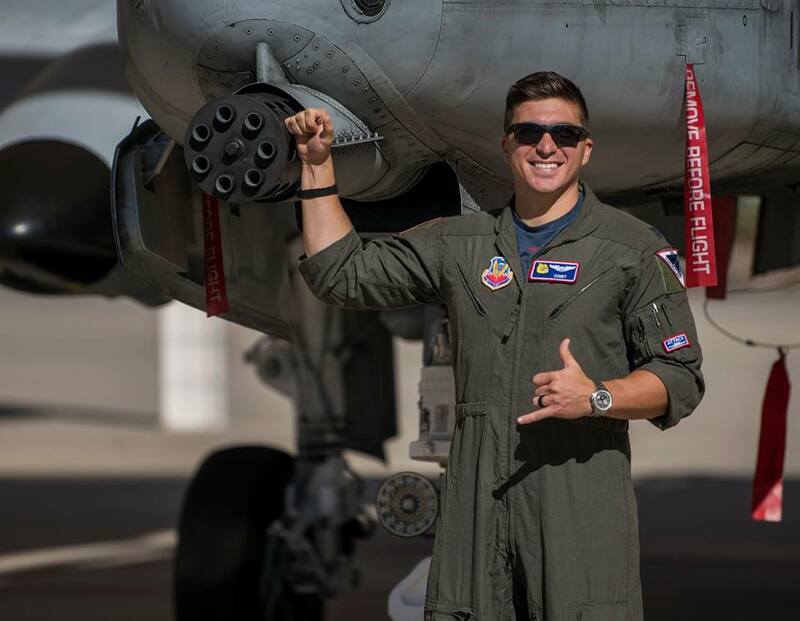 Sky Lesh, 354th Fighter Squadron A-10 Thunderbolt II pilot, won the top strafer award at Hawgsmoke 2018 at Whiteman Air Force Base Oct. 17-20 2018. 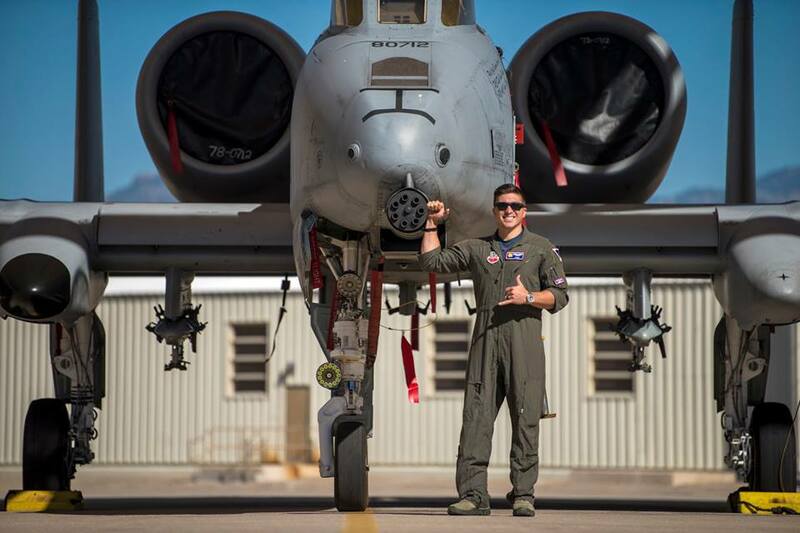 As explained by Airman 1st Class Michael X. Beyer, 355th Fighter Wing Public Affairs, in the article D-M pilot wins top strafer award at Hawgsmoke 2018, Hawgsmoke is a biennial worldwide A-10 precision bombing and tactical gunnery competition. It provides an opportunity for camaraderie, fellowship of the world’s premier close air support fighter and a legacy of its pilots and support crews. The top strafe award went to Lesh due to his ability to put the most amount of bullets on targets during a specified time. “It was challenging being in an unknown range and never seeing the delivery or target before,” said Lesh. Overall, D-M placed second among the nine squadrons that competed in Hawgsmoke 2018. Beyond friendly comradery and competition, Hawgsmoke provides a valuable opportunity for A-10 pilots to test their tireless training and prove their warfighting capabilities. 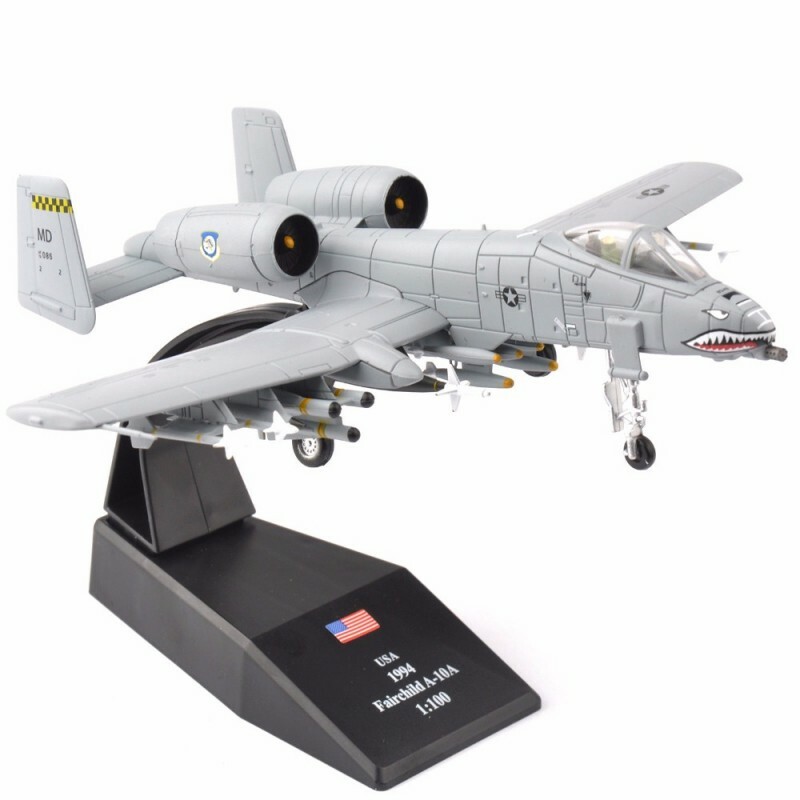 “The 354th FS gives an example of all A-10 fighter squadrons and how extensively we train. The time and effort we spend every day, and each sortie we fly is spent training so we can be the best that we can in a combat situation. This ensures that we are able to effectively put guns and bombs on targets,” Lesh said. Overall, Hawgsmoke provides pilots important opportunities to socialize, compete and hone their abilities. “Competition is important to spur tactical innovation and a desire to be the best that you can be,” said Lt. Col. Nicholas Dicapua, 354th FS commander.